Heroes are no longer the priority. Add content for troopers. I assume you're saying here that 9Nub and Dengar wouldn't bring anyone back, in which case I'd have to ask you how you came to that conclusion. 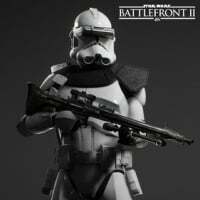 If F8RGE came in this thread right now and said that there was absolutely no way troopers were getting anything for 2019, and that 4 heroes yet to be determined were slated for the major content drops, you better believe the first thing I'd do is make a thread asking for OT heroes and villains. 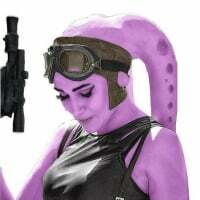 They'll know who she is more than they will about any background character from the ot. He's still in three movies. So **** what? There’s more to canon than movies. How many iconic lines does he have, or character development? Nien is much more important to Star Wars lore than Ahsoka. How you don’t see this is beyond me. Technically, he’s right. 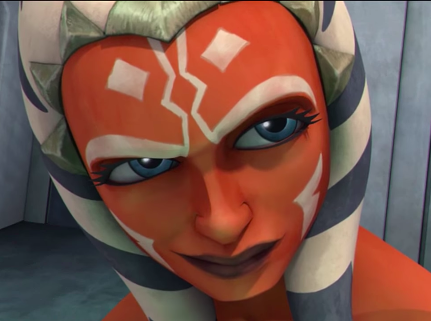 You can take Ahsoka away, and the whole CW series for that matter, and nothing really changes. If you take Nien Nunb away, then Lando is flying the Falcon alone and the second Death Star doesn’t get blown up. Hey, I like Ahsoka and the series. 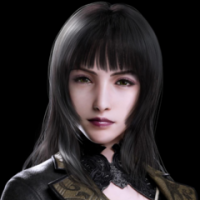 I don’t mind if she makes the game, but what’s real is real. 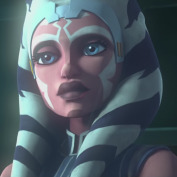 If she was so important why isn't she mentioned in ROTS? Smh how come obi-wan didn't mention he knew r2d2 & c3po in a new hope? This has actually been addressed. 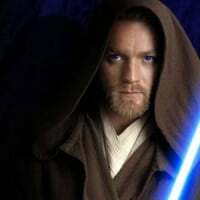 They pulled a scene, likely a Lucas added special, where Obi Wan did acknowledge R2 with an it's good to see you again. R2 also went along with Yoda's lessons because he was in on the whole thing. There is a youtube video about it if you really care enough to search for it. Made me think of a song I hadn’t heard in while, thanks! I tried to steer it back to blasters, ones I would like to see. Not as interesting I guess. Yep it’ll get detailed by hero content and skins, question is, am I interested in skins and more heroes. @Relmets thank you for your kind words. Tbh I’m actually a day one player and have visited the forum many times. I’m just not very vocal- but perhaps we troopers need to change that to get what we want. Troopers of the Empire! Rise! Magnificent post, the sheer insightfulness of it brought a tear to my eye. 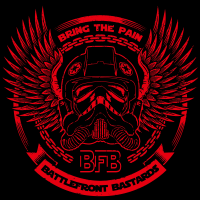 Those overpowered drama queens need to know their place is merely supporting the true heroes of the Battlefront, the glorious Infantry. You're a credit to ground pounders everywhere @Relmets. I would absolutely love to see your suggestions happen, but I just don't think it's very likely. Considering how small the revenue stream is coming into BF2 I can't see EA willing to invest the funds to allow Dice to bring BF2 to its full potential. Have they even started selling cosmetics yet? The mechanics of Infantry play are now so far behind I think it would probably take a near total rework to make it truly satisfying. To be honest I didn't think the Hero gameplay was that decent either, but it is substantially better in comparison with infantry. 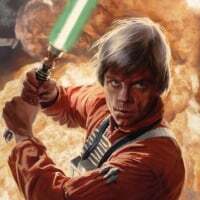 @bfloo has nailed it in multiple posts that Dice are spread too thin, to create a quality Hero, StarFighter, Infantry, and campaign experience. Battlefront will always take second place to Battlefield so it's better if they focus their efforts on developing one or maybe two aspects of Battlefront to their fullest potential. Or failing that hire independent studios to each create a portion of the Battlefront experience, rather than leave it all to Dice who are clearly overwhelmed. I think Activision does that with CoD? There will be another Star Wars multiplayer game, ( Do EA have the licence until 2023?) so there's always hope. But they'll probably leave it for a few more years to put some distance between themselves and the controversy surrounding BF2. Or come up with an entirely new Star Wars multiplayer title. Until then BF2015 apparently still has a decent enough playerbase for Infantry play and BF2 for the Heroes. No, please don't do this. Heroes are Star Wars. Heroes should ALWAYS be the priority. No... Heroes are not star wars. 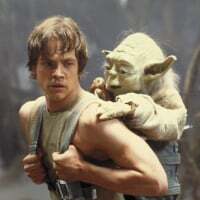 Star wars is all about the environment/surroundings and all sidekicks and odd personalities. Jabba, bobba, ewoks, wookies, scout trooper, tusken raiders, land speed er, AT-AT, hoth planet, death star, x-wing and so on. Luke, han, leia, vader and all others would be nothing without the vehicles, planets, environments and personalities in the star wars universe. Star wars is all of this combined I agree, Focus should be spread equally towards everything, not just heroes. But that's been proven to just not be possible with the resources Dice have been given. Actually for any game developers. We want the infantry and vehicle shooter that will be judged by the standards of todays market, that's a pretty high standard. We want Hero play which again will need to reach the market standard of games like 'For Honour'. We want offline campaign content. Do you know how much effort goes into games like God of War, a Star Wars game made to that standard would be incredible, but it would be impossible combined with the multiplayer content. We also want more skins, more content, more maps, more heroes, more offline, more guns, more star cards. It's impossible! Even if the Battlefront 2 launch hadn't made the Titanic's look good, I still don't think they could have maintained a quality release by spreading themselves so thin. Your completely right that Star Wars is all these things combined and they all deserve their own individual game to be made by separate companies. The crazy thing is if EA did that from the outset every single game would have sold out, it's easy money. We're Star Wars fans, we're gonna buy them all. You're too nice, friendo. I appreciate that. Glad you liked it! 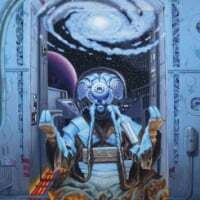 May this thread enjoy eternal bumps and discussion, and serve as a home for all forum trooper players like yourself. I don't blame you for not expecting any of this to happen, I myself have come to terms with the idea that no matter how much traction one of our forum proposals gets it will most likely be glossed over and forgotten. But who knows maybe we'll get lucky and they'll come to their senses. I am absolutely a supporter of a more infantry-focused battlefield-style game for trooper players and maybe something similar to overwatch (or another game) for heroes. We'll see what direction the franchise takes in the future. In my experience, most GA players are really bad at everything else, specifically hero vs. hero combat. You get them one-on-one in a saber fight and they stand no chance. 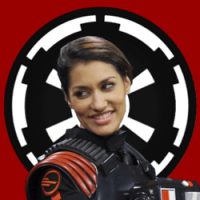 Most players apparently are GA players, and in my opinion that’s why they want the focus to be on troopers. They don’t care that HvV has been a neglected, unbalanced disaster of a mode, riddled with bugs and exploits for over a year. They don’t care because they won’t play HvV. They won’t play HvV because they know they’ll get slaughtered. I’ve seen so many comments suggesting HvV players play HvV because they’re not good enough to play GA, but it’s the other way around. HvV players are some of the best and most versatile players of this game, and they tend to perform well in all modes. Blast players are generally only good as troopers. SFA players are generally only good in starfighters. I stand by my assertion that heroes are far more important to Star Wars than troopers, and that heroes should always be the priority. Go ahead, click “LOL.” It’s your way of telling me you know I’m right. 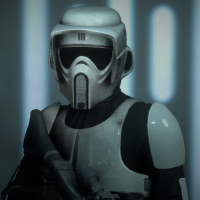 I don't play GA, and I've never considered GA to be a trooper mode. You'll find that the majority of trooper players here in this thread at least are looking for something more like infantry only cargo, reinforcement-less blast, etc. An actual trooper mode. And it's because their interests in STAR WARS are stormtroopers, rebels, clone troopers, droids, blasters, etc. The same way your interests are heroes and villains. And beyond that, their interests gameplay wise are that of trooper combat. This is all the same game but hero v hero is different than trooper v trooper, and preferring one or the other isn't a mark of skill, it's purely preference. Thus, I can't say I agree with your assessment that HvV-ers are the only ones who are universally skilled while other small modes people are the niche-players, but EVEN IF that's the case, I still don't see how it changes anything. The game is not hero only just like it's not infantry only, or starfighter only. People play the modes that are appealing to them because of what stands out and what is fun, not because they're good at one or bad at another. And sure being good at the mode HELPS to make it fun, but I doubt that the people, who play blast for example, are playing blast because they "didn't cut it" in HvV. So I don't see how any of it makes heroes more important to this game than troops. The game is all-encompassing, and was advertised as such. I know hero combat is wonky, but it's still just one aspect of the game. I have to say I think you're being biased. I'll reiterate: I don't know how the decisions at DICE are being made, but if for whatever reason it comes down to one thing or the other, heroes are no longer the priority. Heroes are important to Star Wars, no question. But that doesn’t mean they have to be present and a priority everywhere. if they were essential for a great Star Wars experience, a game like TIE-Fighter wouldn’t be considered one of the best Star Wars games made and Disney wouldn’t plow millions, maybe even billions, into the Galaxy’s Edge-project, letting people step into the day-to-day life in an outer rim spaceport. Don’t underestimate people’s desire to step into the shoes of an average joe, soldier or grunt in the Star Wars universe. Bring on the trooper content! Absolutely spot on, when you play as a hero your playing as Luke or Vader, when you play as an infantry you're imagining yourself as a frontline trooper. Infantry play has an immersive element that I like, especially when combined with solid customisation to make it even more personal. 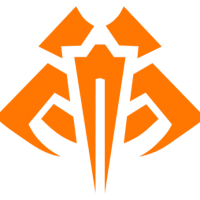 It wouldn't really work as well in BF2 as there aren't any Private matches, but in Battlefield clans are called Platoons, you can design your own clan insignia which appears on weapons, vehicles and clothing in game. That would be cool if they had that in BF2015 or if they create a more competitive scene in the next Star Wars multiplayer. The problem is Battlefront should not be the only STar Wars game out there. 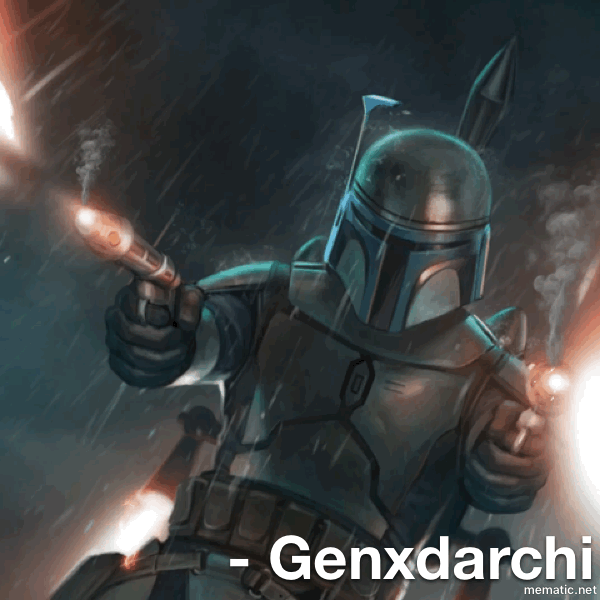 Battlefront fans want the game to be a shooter, whith heroes a quick lil gimmick to help out the losing side. I want a different game to focus on heroes, and to have more than 3 abilities on my 14 button controller. EA completely let you hero fans down,. 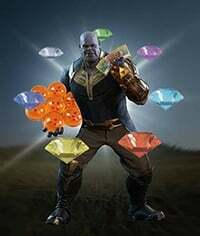 Lets be honest, heroes are outside Dice's skill set. They make shooters. Heroes have been a problem in both games, they can't balance them to work with the rest of the game. Absolutely right imo, that’s what happens when a game has no identity. Whatever company does the next battlefront needs to decide what type of game it’s supposed to be. I know what I’m getting with a COD game, same with a battlefield or god of war game.This game is a little of everything, not great at anything, and imo that’s this games biggest problem. It’s tryijg to be everything to everyone from 6-60, that’s a hard demographic to get right. 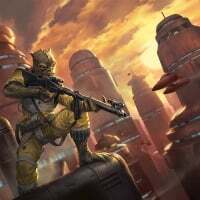 For me, personally, the thought of being able to run and gun as a Shistavanen or an Ithorian excites me a 1000x more than being able to play as Luke, Vader (Anakin) Dooku or Rey. Saying heroes make Star Wars what it is is straight opinion. Haha i think the opposite of what your saying. In my opinion HvV are for the trash players who still cant get a hero in GA when the heroes are 4500pts. I used to play HvV mode main but got tired of button smashing noobs playing as Vader or Rey. As soon as they pick Han or Lando they can't hit anyone point blank. Four new heroes and no new trooper weapons or customizations later. These hero's and modes have been changed enough and it's time to get to what 'Battlefront' is all about and that is the troopers and trooper weapons. I could argue that the only fun aspect of heroes/reinforcements is to use them against much weaker opponents, and that those players are useless as troopers. But I don’t, since I know this is not true. Now, I too can use reinforcements and change the outcome of a round, but 99.99% of the time I want to play as a trooper. 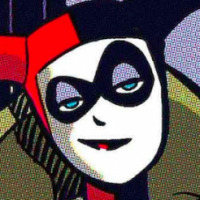 I’m not particularly good with heroes because I never cared enough to practice any of them. 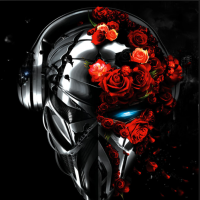 But that doesn’t mean that I or anybody else is necessarily a bad player. I played a few rounds of HvV at the beginning and tbh have i never played anything more boring that this. It simply isn’t for me. But that’s me and others may like it, both of which are fine. The thing is, that we troopers have NO way in this game avoiding those stronger units - for me, that’s the big issue. I would be perfectly happy with a reinforcement-less blast clone, I’m pretty sure this could be done easily. All I care for is trooper gameplay on level terms. And weapons. Please Dice, weapons. I play with Lero and on the very rare occasions, he does play GA he is always the first or second to get a hero. One of the biggest reasons he hates trooper play in this game is because how inferior it is to other games that do infantry play well like battlefield. He doesn't like classes being based around gimmicks, he doesn't like things like vanguard where you run at the speed of light and can one-shot someone, abilities like disruption where you can run up to someone and disable their gun. He doesn't like that hero combat has dwelled into button mashing, it is something he wants them to fix/change, hero combat has deteriorated into absolute trash and is a prime example on why heroes haven't taken priority. Them adding 4 heroes, 2 of which were most likely done before launch, one which is mostly recycled, and One (Grievous) who also seems to have seen work prior to launch. Doughku and Anakin are also showing signs of recycling. Also a reminder that Battlefront has been "all about" trooper play since 2004. I agree and disagree with you. I found that playing HvV when I did really help me understand how to fight against other heroes. I could definitely see in GA that a lot of heroes didn't know how to fight against other heroes and would get slaughtered pretty quickly. I'd say people that are bad with troopers likely gravitate towards saber heroes because they take much less skill than blaster heroes. Blaster heroes are far less forgiving of mistakes. I'd also say that HvV and trooper modes take a different skill set so it's not a fair comparison. I am willing to admit you are likely much better than me at HvV, but I am also willing to bet I am much better than you at Extraction and Strike. Doesn't really mean anything negative, we just prefer different things. You're more into the WoW Arena type pvp which is what HvV is in this game. I started on World War II shooters so I prefer objective based trooper play. I personally found BF2015's HvV to be a lot more fun and intense than in BF2. Where I disagree with you is that Heroes should always be the priority. That is both selfish and short sighted. What good does it do to have 50 heroes when half the player base has left because of no other content? With the exception of Heroes Unleased, no mode can have more than four heroes per side at any time so how many do we really need? A big problem is that we've had such little content that it is frustrating when the "big content" releases are just heroes and clone skins that I don't personally care about. I'd rather we all get some content than only the modes I like. It seems like you only want content for the modes you like. Dooku releases tomorrow, and I don't really care to be honest. The patch is full of hero adjustments, and I don't really care. I am not excited at all about tomorrows patch or Anakin. The new large scale mode is the only thing I am looking forward to, and if it falls flat, I will just play the game less and less until they release more Extraction and Strike maps (Which I assume is never). Ahh posting on a thread set up by a grunt, the very air I breathe feels somehow cleaner. Just wanted to ask if there's been any word on an upcoming Infantry Unleashed weekend? Have any Dev's or Mod's hinted at anything? Shut up already....The Heroes and Villains are the only reason most people play this game, and it’s what sells in terms of the game being kept alive especially now in 2019 when the final Star Wars Film “Episode 9” is released. We've got a mind reader guys. He knows why most people play this game. I don't care about heroes at all anymore. All I want is more Extraction maps and new lightside enforcers. Star Wars means different things to different people. It's not all about the Heroes and Villians. There are definitely other aspects at play, both in this game, and the franchise as a whole. I play this game to play as a grunt. It's what gets me most invested and interested. I love the background characters and soldiers in Star Wars. Lol.....oh ok. Shouldn't you be playing Heroes vs Villains like right now?? What are you doing here in this thread good sir?? The Heroes and Villains are the only reason most people play this game, and it’s what sells in terms of the game being kept alive especially now in 2019 when the final Star Wars Film “Episode 9” is released. Speak for yourself and not for most people, just because herolords are the ones endlessly whining about more heroes doesn't mean that everyone plays battlefront because of them. 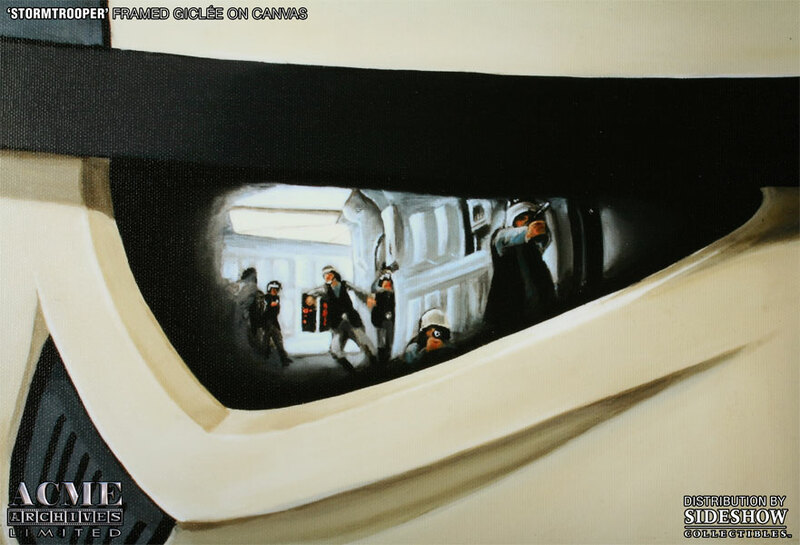 BATTLEFRONT is for experiencing STAR WARS combat in every aspect, PARTICULARLY through the eyes of troopers. You have ZERO argument against more trooper content except telling me to shut up because your precious Padmeme is what you'd prefer to see instead of new weapons and trooper skins, or a new trooper mode. 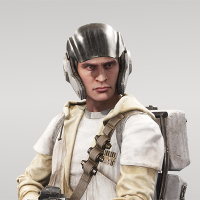 Guess what, Padme is not important to this game, new trooper content is. Away with you. 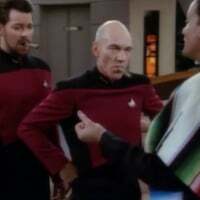 If I had the laugh emote, I would use it on you. Cargo had one of if not the most dedicated player base of either game. We wish for things like this to return. Heroes are fun and welcomed additions, but the love and attention to them vs troopers post launch has been dismally one sided. So kindly buzz off, post haste.